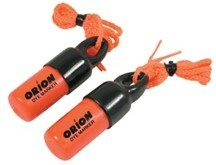 The Land Sea Orion Dye Marker fills an important need in survival signaling. A signal dye marker is a perfect supplement to a signal mirror. Experts agree that multiple forms of signaling greatly increase ones odds of rescue, the THis survival Dye Marker fills this need. The Orion Dye Marker is useful on both land and sea and creates a luminescent green area of up to 50 feet. A signaling dye marker is a perfect addition to your signal kit and also as an individual signal that can be affixed to PFD's and used on PWC's. The Orion Survival Dye Marker comes in a 1 oz container with a lanyard. 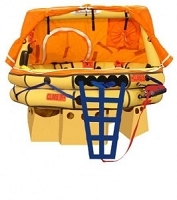 A bright orange air and watertight container makes it durable and easy to locate in an emergency. Added this to my Spinlock Vest for more viability and while it has not been deployed, it does give me the confidence that I may be found more easily during daylight with the device deployed. Added tape around cap to make sure it did not activate before being submerged in the water.